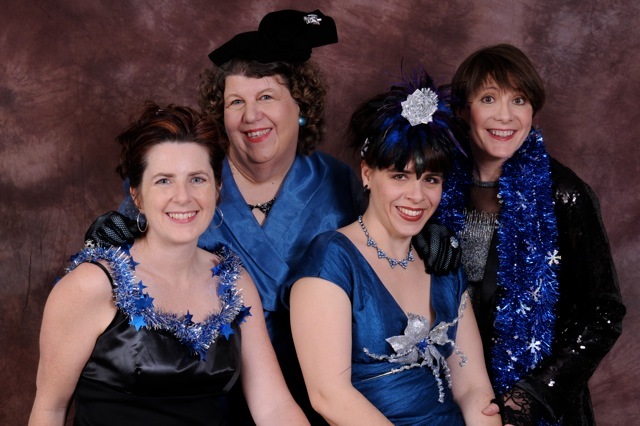 Since 1999, The Hamazons, the Rogue Valley’s Warrior Princesses of Comedy, have been empowering audiences with laughter through improvisational theater. I met with three of the four comedians, Carolyn Myers, Eve Smyth, and Cil Stengel, in a cozy cottage in Ashland. EH: Are The Hamazons political? CM: We’re politically responsive. We respond to the zeitgeist of the times, what the audience is interested in and what we’re reading about. We don’t develop stuff around issues. We never say, “We want to do something about trade relations with China or zombie banks.” We don’t do that. Oregon Shakespeare Festival’s Char Hersh coordinates the volunteers in the Festival’s Welcome Center, the information office on the corner of Main and Pioneer streets. Admittedly a “Shakespeare junky,” Char is a retired nurse who also teaches Tai Chi. We visited one afternoon in her home overlooking Ashland and the hills beyond. EH: How do you like coordinating volunteers? CH: It’s allowed me to meet the most marvelous people. It’s very much like nursing. You’re scheduling people, you’re taking care of people, you’re listening to people, you’re trying to make sure people are enjoying what they are doing. It’s teaching. You’re making sure people know what they are doing, because if they don’t, they’re not comfortable. We all want to be engaged and to know what we’re doing is meaningful. I love doing it. And of course it’s supporting the Festival.